9220 was only the second BR Mark One to arrive on the SVR, in 1973. 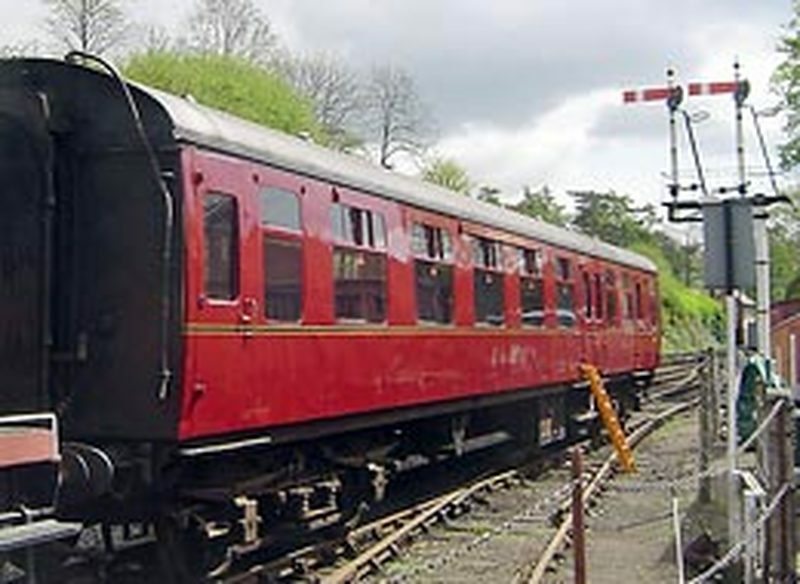 Similar to the Tourist Second Opens, this design was intended as the guard's brake and luggage area, to run with such vehicles, principally on excursion trains. 9220 was delivered new to the Eastern Region, but transferred to the Midland Region by the 1960s. During the End of Steam period, 9220 was recorded on railtour work, including one early SVR Society trip in the North West of England. By 1972, 9220 had been withdrawn from traffic and was at Leicester Diesel Depot on an isolated siding being used as a guards' training school. Purchased for preservation by an SVR member, 9220 was delivered to Hampton Loade, then the southern terminus. During 1973 and into the early part of 1974, 9220 underwent a repaint into 1950s carmine and cream, the first vehicle to be restored to that livery here, and one of the first in the UK. A change of ownership saw 9220 come into the LMS&BR Coach Fund, and its members undertook a major repair at Bridgnorth in 1980, one of the first such major rebuilds in the preservation era, which paved the way for similar work across the country.